Welcome back to the Tuesday Confessional link party. It was so nice looking at all the fabulous projects last week. 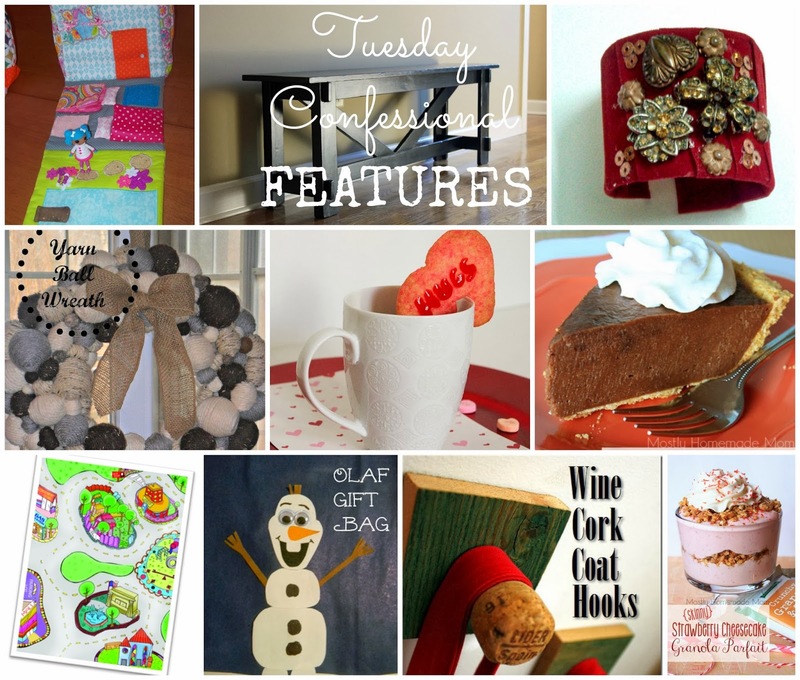 Here are a few of my favorites, which you can link to here and on my Tuesday Confessional board on Pinterest. Want your chance to be featured and pinned? Link up below and don't forget to link back to spread the word! Thanks for the feature! And thanks for putting this party together.. I don't know how you do it all! Thanks for the feature! And thanks for putting this party together. Thanks for the feature! And thanks for putting this party together.. I don't know how you do it all!.. thanks for ur sharing, it's so useful..
please can u look my Blog if you want. thanks. Thanks for your info about Tuesday confessional link party. How to cope with fever and body ache with herbal medicine QNC gamat jelly can help heal or cope with chills and body aches naturally and quickly. مؤسسة مكافحة حشرات بالاحساء تعد إشكالية انتشار الحشرات من اخطر المشاكل التى تواجهنا جميعا حيث تسبب لنا العديد من المخاطر والاضرار الاستثمارية والصحية فلابد من حل تلك الإشكالية فى اسرع وقت حتى لا تتفاقم وينتج عنها العديد من الاضرار التى قد تصيبنا .